Toddlers meets on a Wednesday morning during term-time for fun with toys. 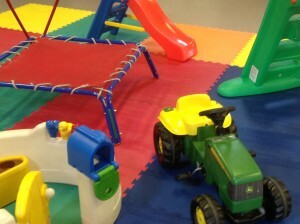 From a slide to cars and tractors there are toys for youngsters to enjoy while their parents/carers have a cuppa. Take along a childs cup for juice. Toast provided.